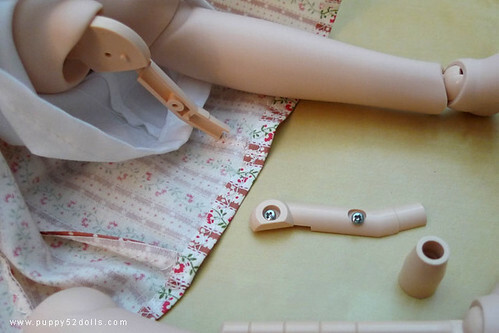 I must thank Chibichibiusa again for bringing to our attention this little item which fixes the floppy knee problem which the Mini dollfie dream body have. I could only find kips on volksusa for some reason (maybe I was looking at the wrong section? ), so I took the opportunity to order some extra bits and bobs after some thinking. 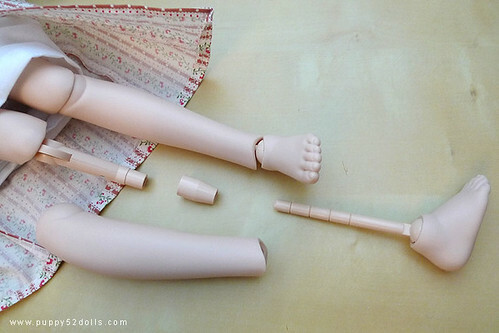 So this is what the MDD (Mini Dollfie Dream) legs look like, the knees joints especially are somewhat weak/loose so most MDD cannot stand on their own at all. Unscrew the 2 screws as seen below. 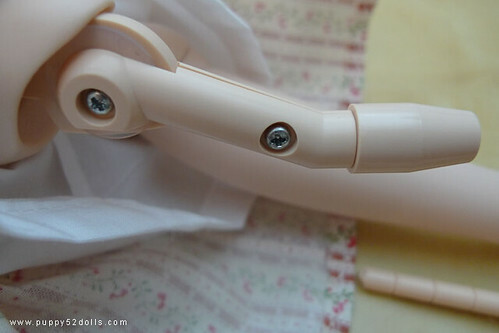 I noticed that the ankle part is a bit loose so kipped that part too ^^ the kip is made of some type of soft rubbery like material so it stretches a bit — enough to put it thru the stick part before the ankle ball joint. Just wanted to point out I was the one who originally pointed the kip fix to chibichibusa glad to see it’s helping more people. 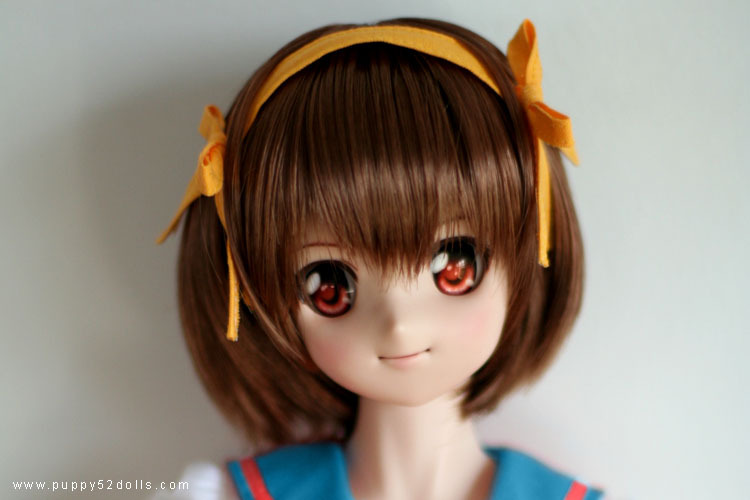 Sorry not much of a blogger nice picture tutorial. 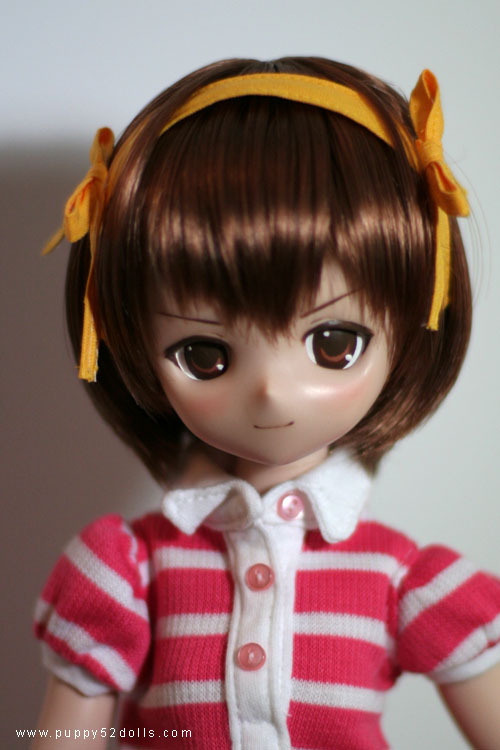 stuck them in my headless Mdd but maybe I need to tighten more? 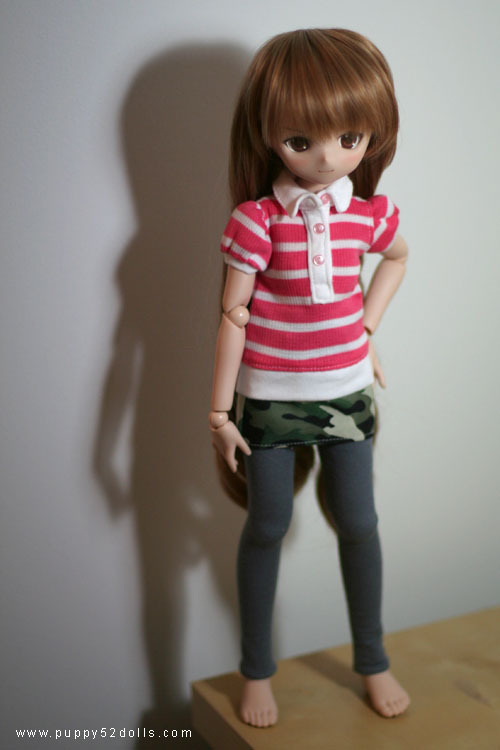 she still does not stand that well. 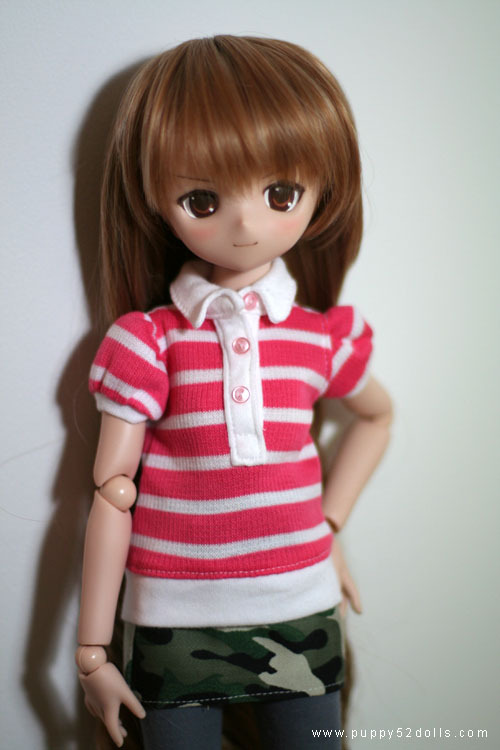 or maybe I am new to balancing and posing still ^^; working on the head still.